The large Powerscreen Chieftain 2100X is available with a 2 deck version of the Binder+Co BIVITEC screen. It is designed for applications where the feed contains fibrous, matted or damp materials that can clog the screen of conventional machines. 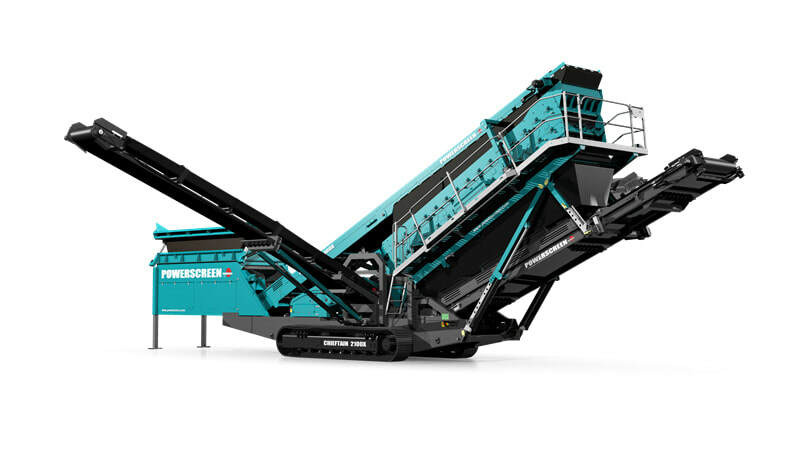 The screen's three movements provide powerful screening action for difficult materials. The screen box moves in the same circular motion as the other Powerscreen incline screens while each of the other 2 screens resonate, causing the flexible polyurethane screen mats to tension and un-tension. This particular action eliminates 'binding' and makes screening effective in all weather conditions.